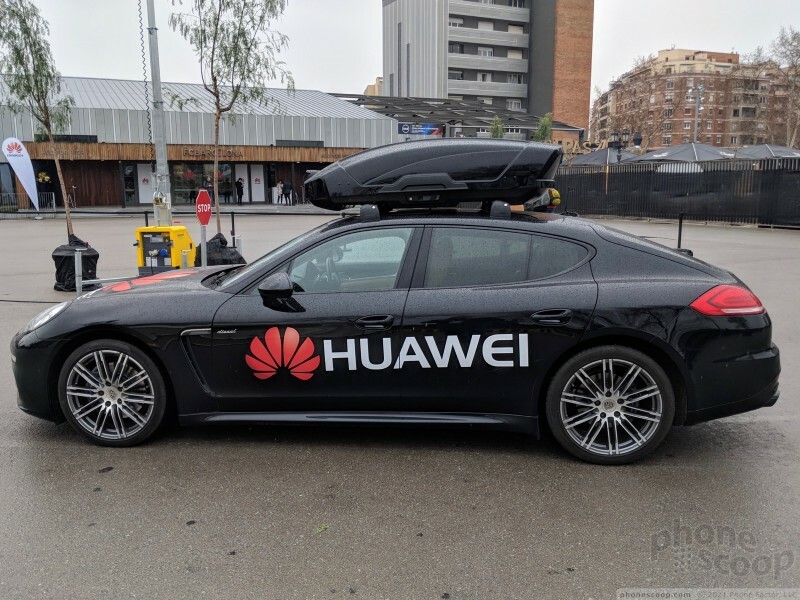 Huawei had some fun in Barcelona this year. 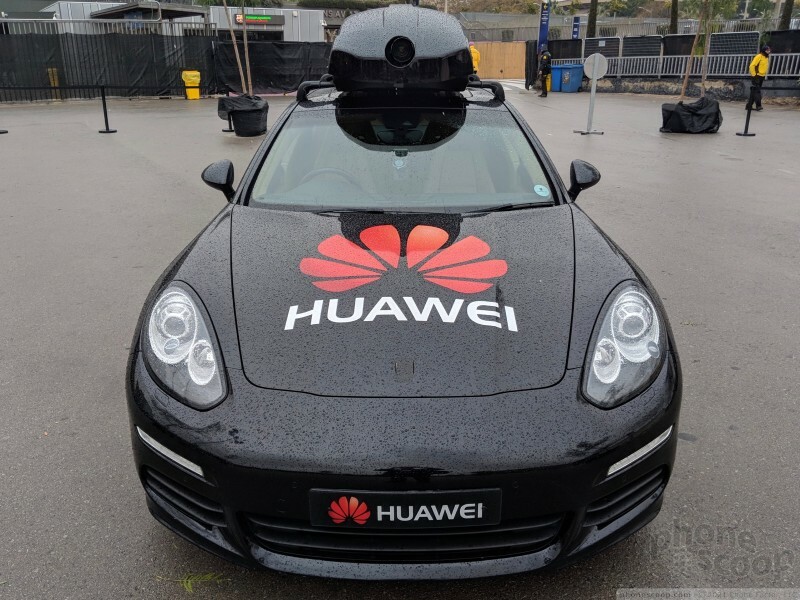 The phone maker put the artificial intelligence inside its flagship Mate 10 Pro smartphone to use steering a Porsche around an obstacle course. 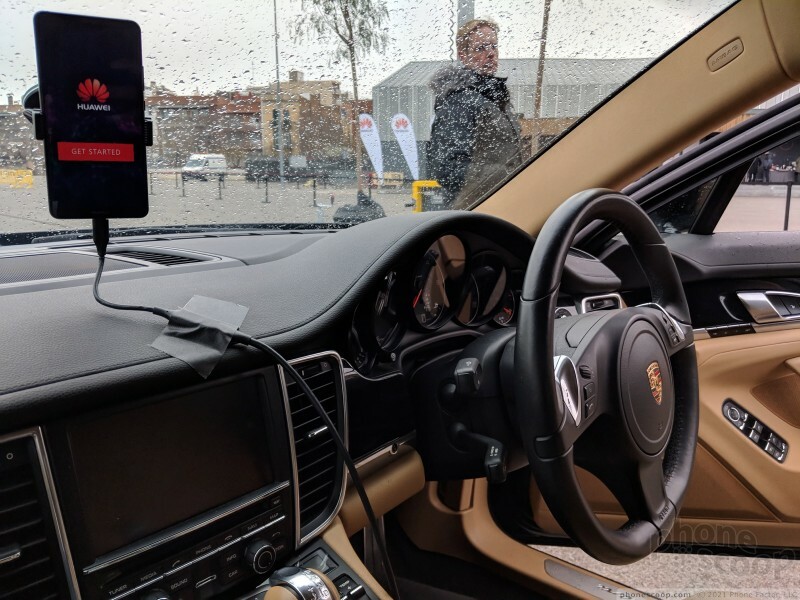 Want to know what it was like for a phone to drive a car? We recount the experience here. 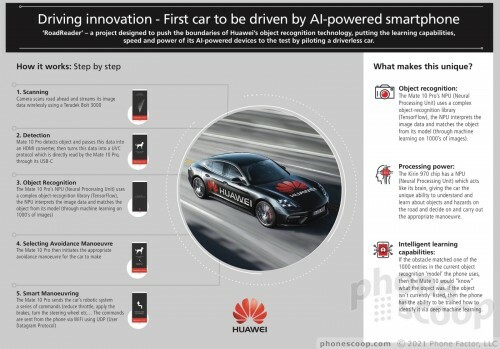 Would you trust your life to a smartphone driving a sports car? I did, and lived to tell the tale. 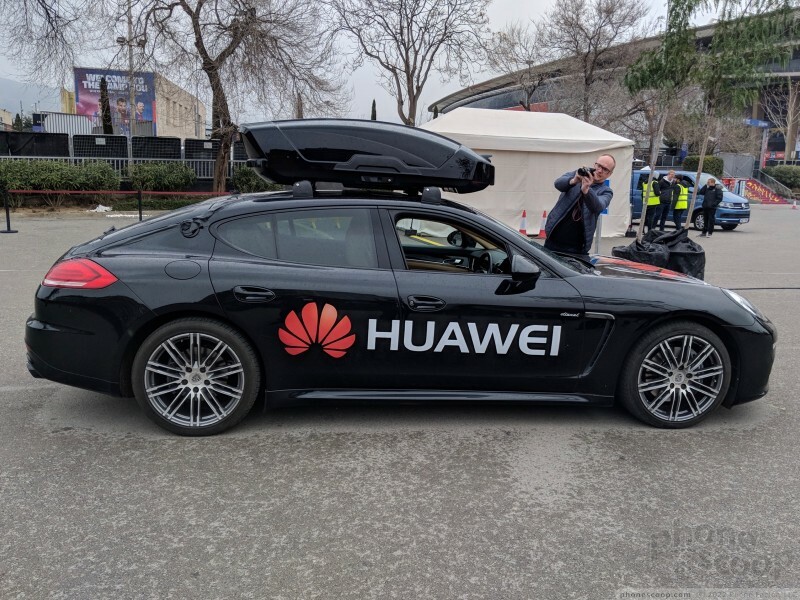 Huawei demonstrated in Barcelona that the artificial intelligence inside the Mate 10 Pro can do things other than take pretty pictures — it can recognize objects in the road, and avoid hitting them. Self-driving cars are nothing new. 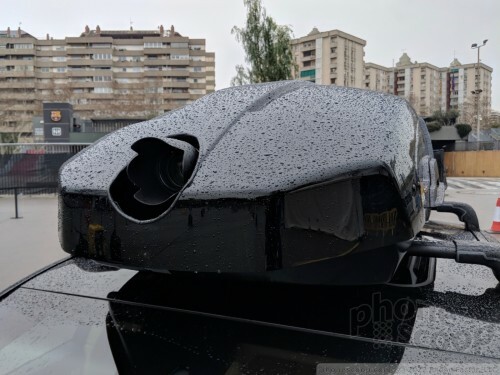 Waymo, Uber, Audio, Tesla and myriad others have been testing driverless cars or auto-pilot modes in their cars for years. 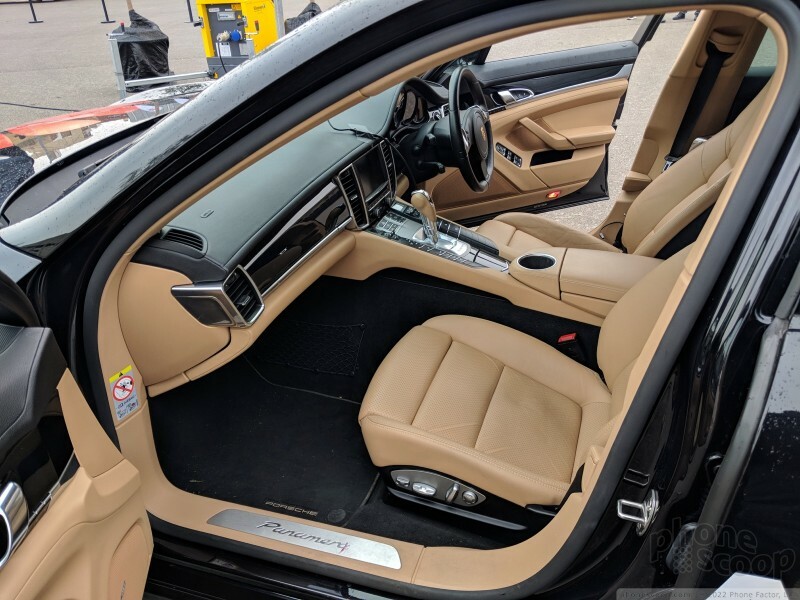 These systems are all built into the car, involve multiple cameras, and custom-built software. 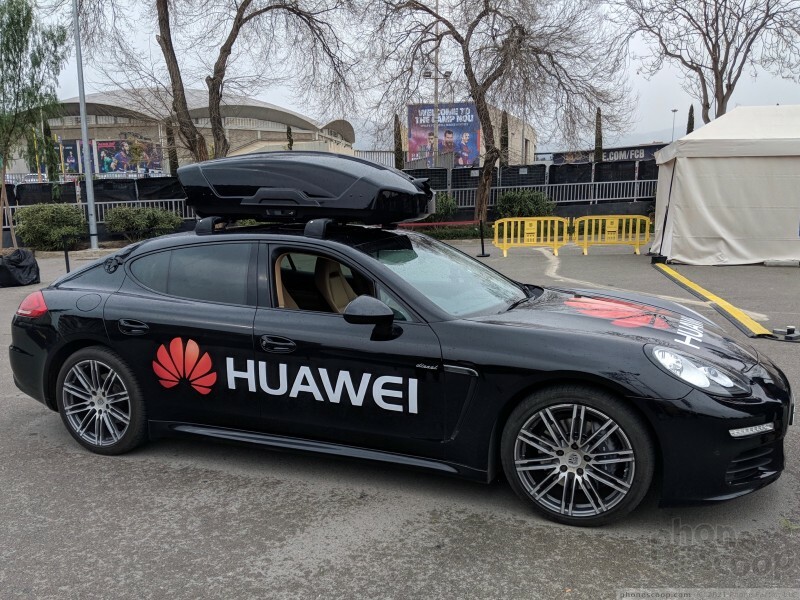 What Huawei did was a little different. First, the phone: the Huawei Mate 10 Pro. The Mate 10 Pro is powered by Huawei's own Kirin 970 processor. What makes the 970 stand out is the NPU, or neural processing unit. 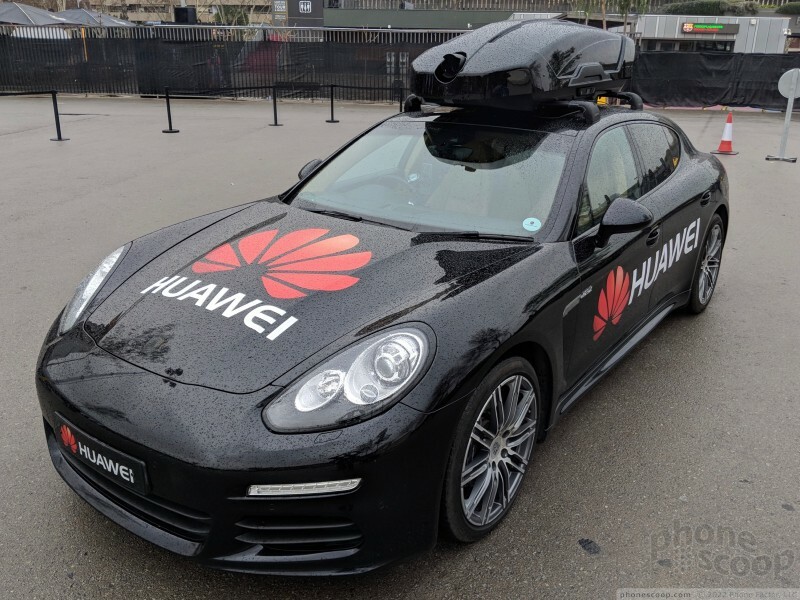 Huawei uses this for object/scene detection in the Mate 10 Pro's camera application. The phone can recognize cats, dogs, faces, and other things and adjusts the camera's parameters in order to get the best-possible shot. The bottom line here is that the phone can recognize things, and that's key to this demonstration. Second, the car: a Porsche Panamera (because why not). 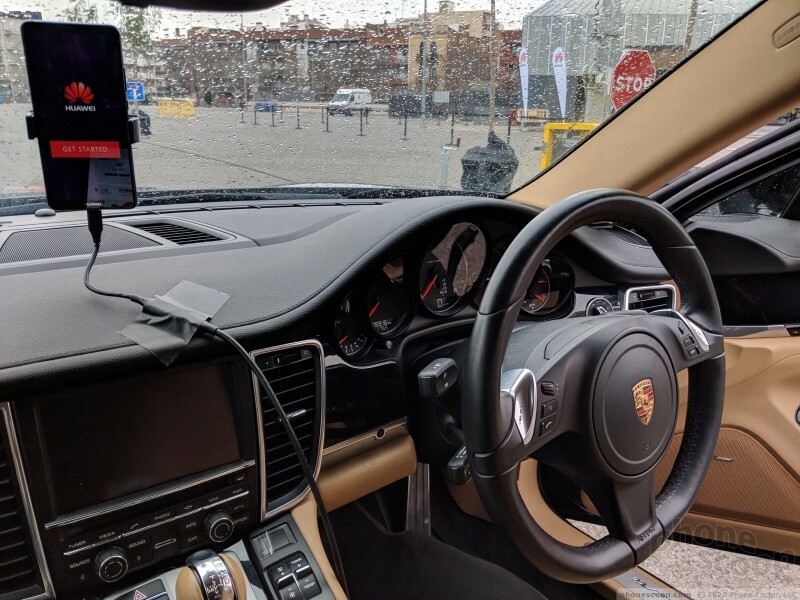 Huawei fitted a robotic driving system into the Porsche. The Mate 10 Pro spoke to the robotic system via WiFi. 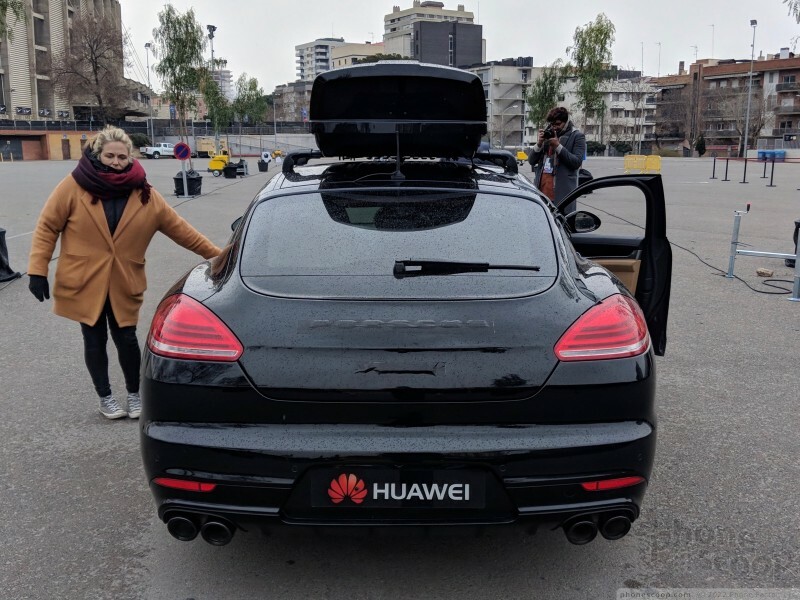 Huawei used its software to override Porsche's software in order to control the car. Third, the camera: You'll clearly see a luggage pod on top of the car. The pod housed a camera and a wireless system to transmit video from the camera to the phone. 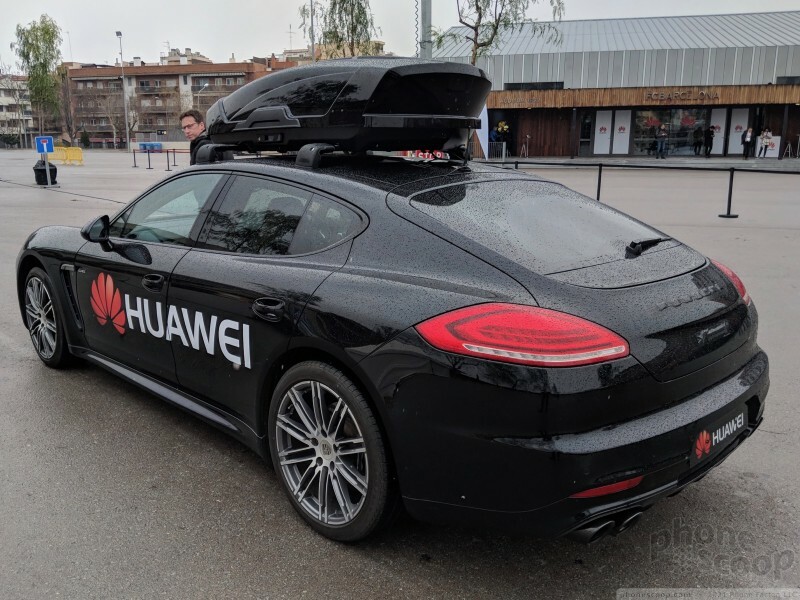 Huawei insisted it could have use the Mate 10 Pro's camera directly, but chose to use the camera/transmitter system for safety reasons. When in the car we did two runs. The first run was to help the phone learn about potential hazards. The phone drove the car in a straight line and several objects were placed in view of the camera, though not in the path of the car. The objects included a soccer ball, a dog, and so on. We then backed up and used software on the phone to choose actions to take upon seeing these objects. For example, I selected to swerve to the left if the car encountered a dog and come to a full stop if the car encountered a soccer ball. Once the training was complete, we performed a second run. The second pass took the car in a straight line down the same path and, at random, one of the earlier learned objects appeared in the car's path. In my case, it was a dog. Since I taught the car to swerve left, that's what the Porsche did when the dog suddenly appeared. The car successfully maneuvered around the animal at speeds of 30mph. 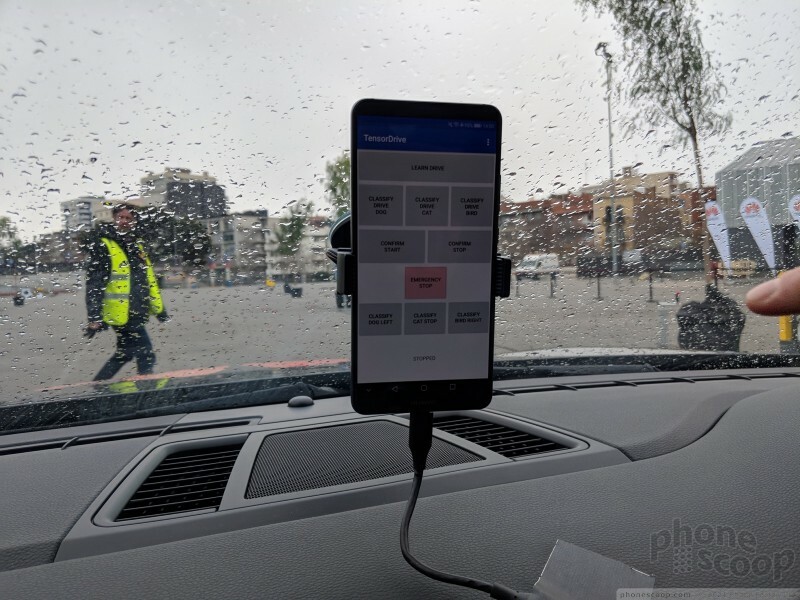 So, the camera offered the Mate 10 Pro a live view of the road and obstacles. The NPU processed the obstacle, discerned that it was approaching a dog, and took action to avoid it. It was able to do all this in real-time and avoid a tragic end for Rex. The phone can already recognize thousands of objects. 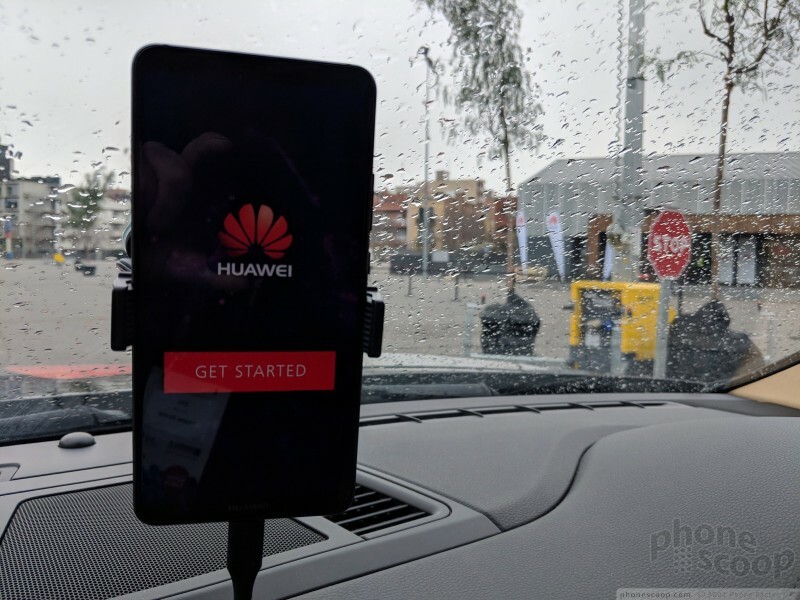 The training run was to help us understand why the software might make certain choices and to prove that the Mate 10 Pro's NPU really does what Huawei claims. 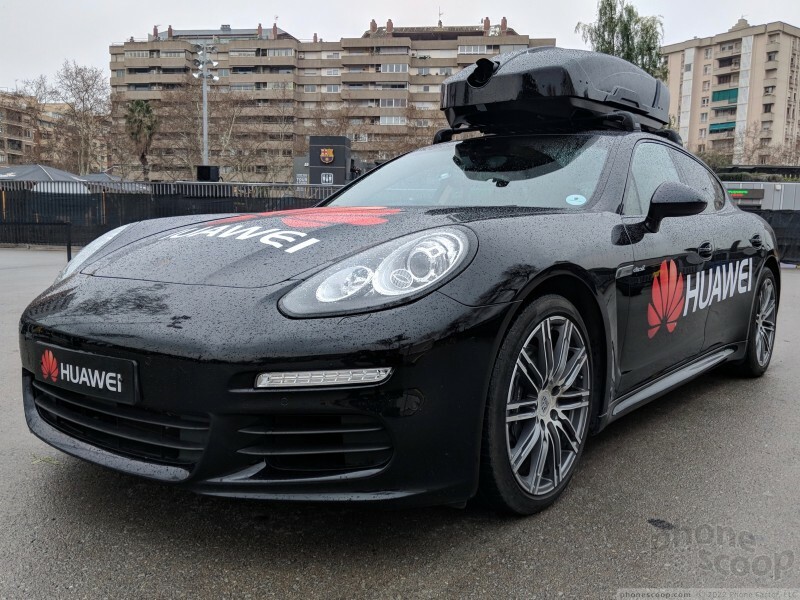 How well can the Mate 10 Pro actually drive a Porsche? 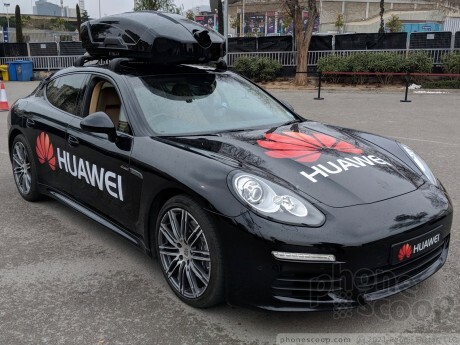 Well, Huawei didn't go that far. It would have been more impressive to drive around a track with turns and such. As it was, we hardly drove 100 yards in a straight line. Do I think that cars will all someday be driven by smartphones? No, but it is fun to know that it is at least possible. It takes a lot of smarts for a phone to steer a car around a dog.